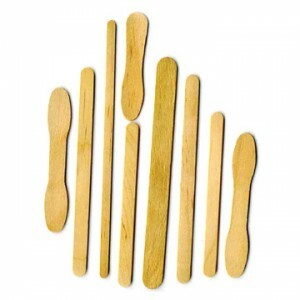 Why has Global Sticks, a manufacturer of wooden ice cream sticks, moving from Dalian, China to Thunder Bay, Ontario? It’s the kind of low margin manufacturing that is never supposed to come back after it leaves North America for cheaper labour abroad. But wage costs are no longer everything they were cranked up to be. In today’s world of soaring energy costs, power rationing and export taxes on key commodities such as wood, wage gaps are less important. When the power goes off, it suddenly doesn’t matter if your labor is expensive. Factories don’t run on sweat alone. As the price of the bunker fuel that transports those ice creams sticks to customers around the world tracks soaring world oil prices, the distance between your factory in Dalian and North American kids lining up at their neighborhood ice cream store, becomes more expensive every day. It won’t be long before all that power rationing starts to curb economic growth, particularly in the power-intensive centers of China’s industrial production such as aluminum and steel. The failure of regulated power prices to keep pace with soaring world coal prices lies at the heart of the China’s power crisis (as well as in similar power crisis sweeping neighbouring India and Pakistan.). Chinese power prices have gone up as little as 1/10 as the rise in world oil prices. Not only is this practice economically untenable for coal fired power generators, who supply over three quarters of China’s power but it encourages unsustainable rates of coal consumption. Last year, the power hungry Chinese economy burnt a staggering 3.2 billion tons of coal. Beijing has already warned the country may soon hit peak coal production, forcing greater reliance on ever-more costly imports. In the meantime, China has banned the export of diesel fuel, which may soon be needed for power generation. As China’s power crisis worsens this summer look for more firms such as Global Sticks to relocate production and come back home. Let us pray that those of us not in the financial sector can afford ice cream a year from now. Great observation about manufacturing jobs returning to Canada after being sent abroad. I’d love to hear your thoughts on oil and gasoline theft. Tonight a gas station attendant in Mississauga died after trying to stop an oil thief. Where do you thing gasoline theft is headed? Jeff,as you have recently predicted, the global sticks didi certainley shows that lodgisicts and transport costs will be the dominating trend in the future.In my mind natural gas will be a big bridge fuel up and coming.Sasol south africa is studing the viability of utilizeing their technology up here in n.east b.c. and mabey alberta,further I am told that the chinese have developed a process that is a cost effective n gas to liquids process as well,the abundance of shale gas in north america as I see it will play a huge role with respect to energy supply world wide, it would be interesting to hear your thoughts on natural gas and its impacts on energy for the future. Unc. fsj b.c. can. Under the thesis that American foreign policy in the Middle East is, at least in part, designed to prevent Chinese access to cheap oil for geopolitical and economic reasons, doesn’t China’s energy crunch just create more geopolitical tension? Is anyone else aware of the ultimatum China recently delivered to the US, RE: Pakistan? I’ve heard the same thing about call centers coming back to the US. Apparently wages are starting to get low enough here so it is competitive for Americans to make the calls and answer the phones. We probably still need wider cubicles though, so we’re not yet quite competitive in terms of real estate…. After reading “Smaller World”, over a year ago I was ranting about how North American jobs were coming back to Canada and the US, everyone thought I was taking crazy. I have heard several references to Mr. Rubin’s prognosis on US television such as MSNBC Squawk Box. I believe the book will turn out to be one of the most relivent forecasts in economic trends. I am still looking for a Jeff Rubin follow-up book that tells us how to prepare for consequences. I agree! Incidentally, I had a similar experience. Though its mentioned that China isn’t powerless in acting to prevent this from happening, they’ll have a tough time stiffling increasing standards of living (hence wages), and they simply cannot escape the fact that billions of them who increasingly consume oil will only add to the demand-supply pressures that the world increasingly experiences. It is a simple law of nature that such a ‘pendulum’ can only swing so far, before coming back down to some unknown lower threshold — but with that, we’re likely to see a lot more industry return to their nations of origin.